According to the American Association of Endodontists, more than 15 million root canal procedures are performed each year, with over 41,000 root canals (!) performed every single day. Root canals are a very common procedure—and with Clopper’s Mill Dental Care, you can be sure your root canal procedure will go smoothly. It’s important to note that root canal procedures do not cause pain—they relieve pain. Once your root canal procedure is complete, your tooth will feel as good as new! A root canal is a procedure that replaces the infected pulp of a tooth with an inert material. When the enamel of a tooth is worn down over time, bacteria can enter the pulp of the tooth, which leads to infection, discomfort, and pain. To remove the infection, your dentist must remove the pulp of the tooth and replace it with a synthetic material to keep the tooth’s structural integrity intact. 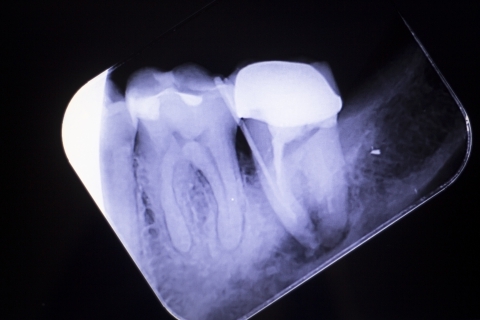 What is the root canal process? First, your dentist will administer local anesthesia to the area to numb the tooth. Next, the dentist will use a small drill to access the inside of the tooth, and use a variety of tools to clear the infected pulp from the tooth, and use an antimicrobial solution to reduce the risk of getting another infection. Once the pulp is removed, the dentist will clean and dry the area, and fill the empty tooth chamber with “gutta percha,” a rubber-like material. Finally, the dentist will place a temporary cap on the tooth until it is ready for the permanent crown in a few weeks. The dentists at Clopper’s Mill Dental Care have years of experience performing root canal treatments and offer a number of surgical and topical solutions that can reduce and eliminate pain and discomfort for good. Plus, our friendly and professional staff members will make the entire root canal process easy. Contact us with any questions about the procedure, or schedule an appointment today!